Of course, just like the original, these shadows all smell like yummy chocolate, which makes the makeup application process a little bit more fun. The one major improvement from the original palette? Too Faced printed the names of the shades on the actual palette so you don't have to save a plastic insert to know which shadows you're using. The Semi-Sweet contains 16 shadows like the original Chocolate Bar. Two of the shadows, which are light shades intended for highlighting, are larger than the rest, with 2.2 grams of product each. The remaining 14 shades contain .95 grams of product. 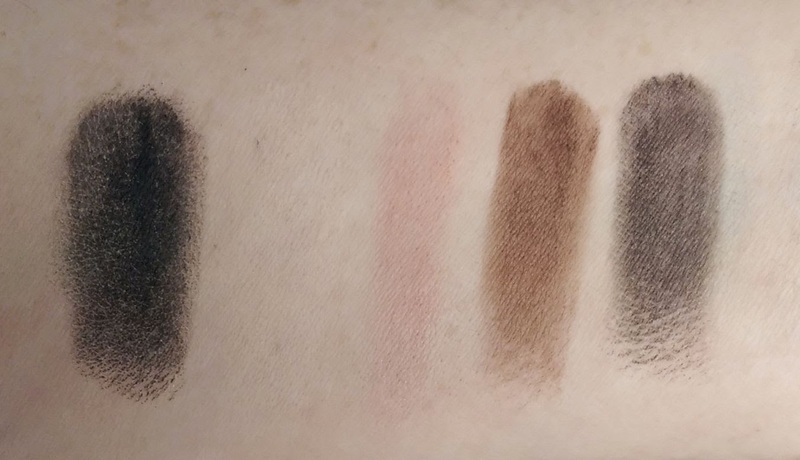 The shades include: Licorice, a matte black; Coconut Creme, a matte cream; Nougat, a matte light rosy taupe; Truffled, a matte chocolate brown; Hot Fudge, a dark black brown with subtle gold shimmer; Cocoa Chili, a chocolate brown with subtle gold shimmer; Pink Sugar, a sheer glittery light pink; Puddin', a matte gray brown; Blueberry Swirl, a metallic teal blue; Peanut Butter, a matte orange-y brown; Frosting, a shimmery bronze-y brown; Rum Raisin, a shimmery purple-y taupe; Mousse, a matte light brown; Caramel, a metallic gold; Bon Bon, a metallic light copper; and Butter Pecan, a satin ivory. The Semi-Sweet Palette is marketed as being a warmer version of the original Chocolate Bar Palette -- and there are certainly plenty of warm brown and orange-y tones here. But there are also some cool options, like the obvious Blueberry Swirl and the beautiful Rum Raisin. In terms of the shadow formula, I find it to be nearly identical to the first palette -- and all of Too Faced's palettes, for that matter. The shadows are pigmented, smooth, and easy to blend, even the mattes. There are quite a few shades that I love in this palette too. I've seen a lot of folks go crazy over Peanut Butter as a transition shade -- and it is a lovely color -- but it's a little too dark for a fair-skinned girl like me. 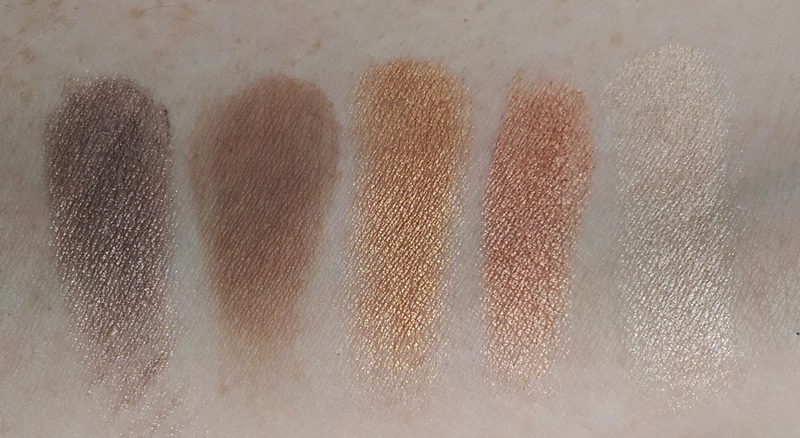 Instead, I'm obsessed with Nougat, which looks kind of blah in the pan, but is perfect for blending out crease shades if you're pale like me. I love Puddin' as a matte crease shade, Frosting for a soft smoky eye, and Rum Raisin for a gorgeous, no-brainer lid shade. Caramel and Bon Bon are both lovely when I really want to play up my blue eyes, and I think Butter Pecan is one of the prettiest brow bone and inner corner highlight shades I've tried in a long, long time. There is a dud in the palette, though -- Pink Sugar is incredibly sheer and features pretty chunky glitter. It's not the kind of shade that you can really use on its own because the color never really builds up either. Instead, it's best used as a topper shadow -- I like to pat a little of it in the center of whatever lid shade I'm wearing for an instant brightening effect. Based on reviews I've read and seen, most folks seem to prefer the original but I've got to disagree -- I think I like this one better. It doesn't have anything to do with quality -- I think they're equal in that regard. It comes down to a matter of color preference. So if you're torn between the two, I'd go check them out in person so you can figure out which range you like better. The palette retails for $49, and is available at Sephora, Ulta, and the Too Faced website. 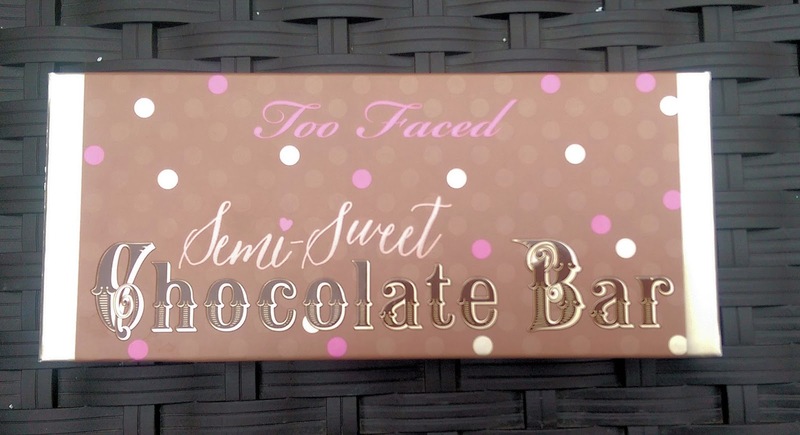 Are you interested in the Too Faced Semi-Sweet Chocolate Bar Palette? Are you a fan of the original palette? Well thanks to you I´m still madly in love with the first version of the palette. Which would be almost perfect if it too had the names of the shadows in the box - although so far I´ve held onto the plastic cover. Have you ever tried the so called dupes by makeup revolution for theses palettes?